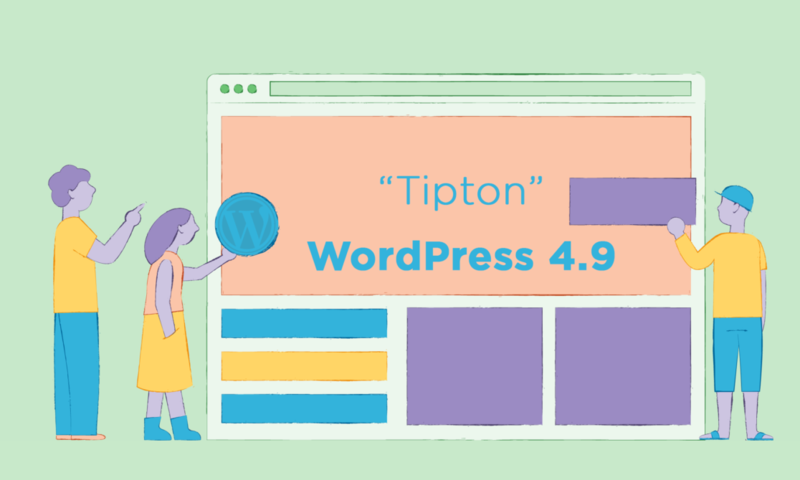 WordPress 4.9, “Tipton”, has been released, named after jazz musician Billy Tipton. Approximately 443 contributors took part in the development of WordPress 4.9; congratulations to 185 of these contributors for their first ever contribution. 188 new enhancements or features were added in WordPress 4.9. The release cycle was co-lead by Mel Choyce and Weston Ruter. Check out Mel’s post about 4.9 as well. There are several significant features in WordPress 4.9, primarily around improvements to the customizer experience and editing code. In addition to the rundown of items here, listen to the podcast that I published with WordPress project lead and co-founder Matt Mullenweg. The Gutenberg editor project has been running simultaneously to the WordPress 4.9 process (and the 4.8 one before that), and is one of the things Matt and I talked about yesterday — in regard to how the projects running simultaneously have gone. The team has done a great job doing feature descriptions for WordPress 4.9, thankfully, so there isn’t a ton you need to hear from me there. But I would like to highlight a couple of my favorite things. By far, the most useful component of WordPress 4.9 for me is the customizer improvements for drafting and scheduling changes. Most of the features are things we’ve grown to enjoy in posts themselves: drafting, scheduling, locking (when someone else is actively editing), preview links (not actually in core for posts, maybe this is a step!). These features make collaborative and iterative site editing a much nicer experience. I just spent time with a friend who was asking me how to make changes to their site but only in preview mode, and I really believe this will be an impactful feature for every day WordPress users. Widgets are one of the first things a new site owner interacts with. The gallery widget makes for an easy to use enhancement to a site, for a common request. It operates much like galleries in regular WordPress, but for sidebars. The text widget enhancements allow for a richer text widget experience using the media button, a huge improvement over what has existed for a long time. WordPress 4.8 brought an image widget, but the media button in the text widget gives someone more control over what goes around media, so a full call to action can be created in the text widget. I like this practical step. Code editing is one of those things I’d rather not exist in WordPress. I would call it a last resort option for site customization. However, we’ve always had it in WordPress, and it’s always been a danger. It’s made it easy for a user to white screen their site, or enable hackers with the wrong level of access to sneak in malicious code. However, now at least the file editor prevents users from doing the worst and bricking their sites. A syntax checking library called CodeMirror, has been added to the file editor so that more sites are protected. While I still wouldn’t recommend most people go this route, it’s the right thing to do if the feature is to be kept. WordPress 4.9 is the second core release this year, since moving to a feature release cycle after WordPress US last December. I talked more about how that’s gone in my interview with Matt, as well as progress on the Gutenberg initiative. Some of the features in 4.9 will aid in the shift to a block-driven mindset for WordPress content creation. Others were simply ready to go. I think this is a positive release and I’m impressed by the team that has put WordPress 4.9 together. For links to all changes, I highly suggest you check out the field guide, which highlights each 4.9 project, and links to in-depth overviews of those features, including references to specific tickets involved. You can also check out all posts tagged for WordPress 4.9 on the Make Core blog. Congratulations to everyone involved, and happy publishing.